Maximize productivity while ensuring great value with the business-ready ThinkPad E585 laptop. 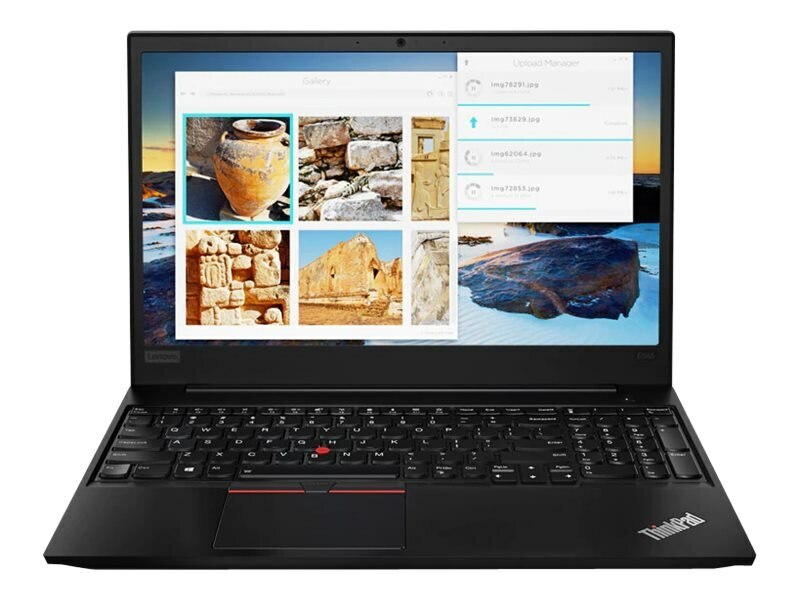 Powerful performance and ThinkPad durability combine with impressive design, amazing visuals, tons of storage options and long battery life to take your small business to another level. There are two SO-DIMM slots. One holds a removable 4GB chip and the other is available. Video memory: Shared system memory with integrated AMD Vega 3 Graphics. Integrated Li-Ion battery pack with 45WHr capacity and up to 8.6 hours of run time depending on configuration and usage. The USB 3.1 Gen 1 Docking Station turns your computer, laptop or tablet into a versatile workstation. By connecting its built-in cable to your device’s USB-C port, you’ll be able to add an external display, access Gigabit Ethernet networks, transfer data, display video and more.